Time for another House Hunters spin-off series. This one is called House Hunters: Home for the Holidays and focuses on families looking for new homes before the holiday season. On this episode, we meet Sarah and Bryan. The couple met over 20-years ago. They were both teens on the track team. Bryan went on to turn that track team experience into olympic glory; he won two Olympic medals, silver and gold ones. Bryan and Sarah currently live in Southern California with the three children. Now that Bryan’s career is slowing down, they want to move back home to be closer to family. Bryan’s family mainly lives in Hawaii but Sarah’s family lives in the Seattle, Wa area. They want to move to Issaquah, Wa. Sarah and Bryan have a 1 million dollar budget. They both want a three bedroom home. His: Bryan prefers craftsman style homes. He also wants a big fireplace and mantle, specifically for hanging stocking and sitting by the fireplace during the holidays. Bryan also wants some outdoor living space. Hers: Sarah wants a traditional home with a forming dining area. She wants the dining area to finally hosts holidays at her place. This traditional style home has about 3100 sq ft. It has four bedrooms, two and a half bathrooms, and about a half acre of land. On the side of the home, there is an extra unit for storage. The inside of the home has a grand foyer, high ceilings, and a wood burning fireplace. A bonus room on this home includes a wine cellar. This traditional home also has a lovely outdoor space but it’s a little too close to neighbors. It also has a large room that could work as a guest room or an additional bedroom. Sarah and Bryan don’t like how close this room is to the main rooms. If it’s used as a guest room, they want it more separate, to allow privacy for their guests. The kitchen in this home is updated but narrow. The entire home gives a luxurious but homey feel. This home is a bit of a mixture between a craftsman and a traditional. 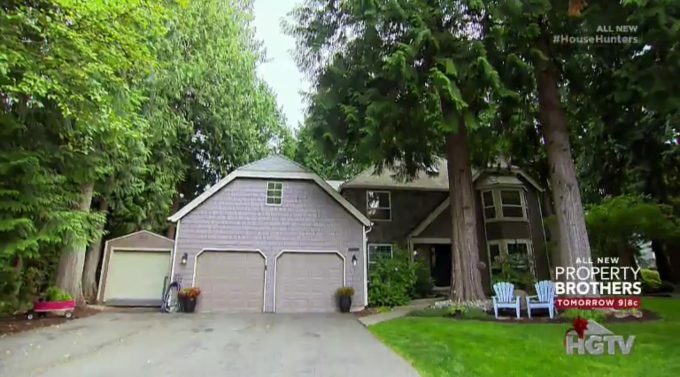 It has a three-car garage, three bedrooms, and three and a half bathrooms. It also includes two acres. Another great feature of this home is the wrap-around porch. it has a formal dining room, a bright kitchen with built-in fixtures, a fireplace, and a patio. The living room is very big and beautiful, as is the backyard. The yard also has layers upon layers of property, including a sort of secret pathway to a creek. All the bedrooms are close together. The master bathroom also has small sinks. Another perk with this place is that it has an extra room and space above the garage that could become separate living quarters for guests. This Victorian style home has four bedrooms, and three and a half bathrooms. It also has over 4100 sq ft and five acres of land. The path to the home is gorgeous with a pond, flowers, and even ducks hanging out. Oddly, the living room and family room spaces are very small, but the master bedroom is massive. It also leads to the balcony with a great view. The place also doesn’t have a fireplace, and it has a dark kitchen. This places also has a bonus area for guests, which includes a kitchen, bathroom, and lounge area. Decision Time: House #3 was a bit expensive and designed with some odd choices (like a small living room), but the massive guest room was perfect for both of their families. House #2 had a lot of character and potential, but it could be too much yard for the family. House #1 had too little space, but visually had the most appealing interior. Bryan and Sarah picked…House #2. 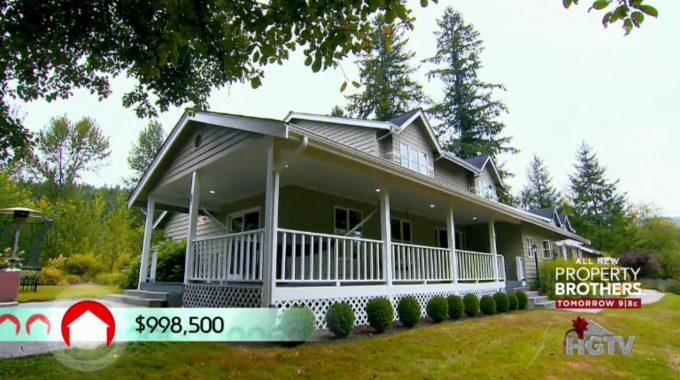 They bought it for $972,000 instead of $998,500. Their children were also surprised on Christmas with a new puppy. Tears all around.